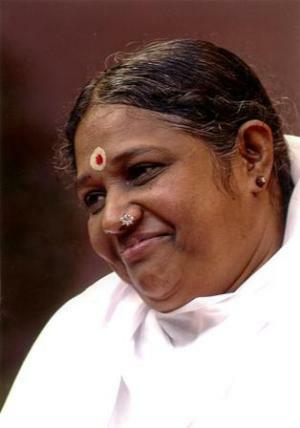 Amma’s hugs are know the world over for the love and light they bring to one’s being, but even Amma knows that true Spiritual Activism is more than just giving hugs (even if it is over 27 million of them). Amma and her organization have gained an unparalleled reputation not only for her personal outreach of bringing comfort and touching hearts with her personal touch, but as a result of the extensive charitable institutions she has established. Amma oversees a vast network of humanitarian activities. She has built hospitals where the those in need can receive the best of modern medicine, over 100,000 homes for the poor, orphanages where the abandoned can find hope, hospices for those in transition, subsidized schools for those who would not have had a chance to have an education, pensions for widows, greened the planet with hundreds of thousands of trees planted every year and pledged tens, if not hundreds, of millions of dollars to disaster relief and suicide prevention programs…the list goes on and on. It is a rarified group that walk the talk like Amma. When you consider that she started from such humble beginnings, can anyone possibly doubt that Amma is more than just a woman. Jane Goodall described her as “God’s Love in human form”. 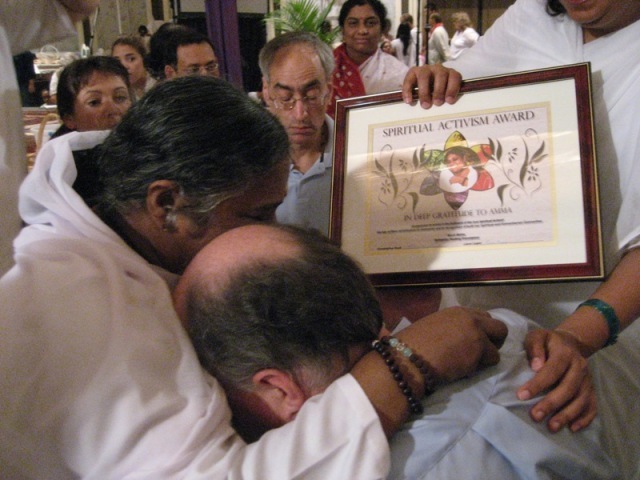 In August 2009, Humanity Healing International was honored to present its first Spiritual Activism Award to Amma.